I’m not an audiophile, and while I buy a lot of gadgets, I’m a tad averse to buying expensive audio gear. Sometimes an exceptional design or an iconic brand does tempt me because ‘better audio’ pitch doesn’t work for me. I have several $100 Bluetooth speakers from international brands, but couple of years ago I picked up a Bose SoundLink Color speaker. Only because, at $199, Bose was treading in the mid-range segment and it was, well, a Bose. But I’ve recently sent it to the back of my closet, because the new Bose SoundLink Revolve is my new favorite portable wireless speaker. If you’re okay spending that kind of money, that is. The SoundLink Revolve feature a cylindrical design that allows 360-degree sound spread for a consistent, uniform coverage across the room. It is engineered to deliver deep, omni-directional, and immersive sound. It’s not very sharp, but quite rich and really impressive with vocals. And it looks like a work of art. The aluminum enclosure with a fine grille mesh looks neat, and will fit any interior. The rubberized base ensures that the speaker does not slide off the table. It comes in two colors – Triple Black and Lux Grey. It’s solid, and a tad heavy at over 600 grams, and looks durable. With IPX4 water-resistance, you can also take it outdoors for camping or roof-top parties. There’s a threaded universal mount at the bottom so you can put it on a tripod, which is quite an interesting setup idea. The Revolve charges via a micro-USB cable, and offers about 10-12 hours of battery life. It’s not the best in the business, but that’s the compromise for the audio quality – with that deep, powerful bass – it offers. An interesting addition is the ability to fire Google Assistant or Siri on the connected smartphone using the multifunction button, allowing you to ask questions via the speaker. There’s also a companion Bose Connect app that allows you to connect to two Revolve devices together for stereo or party mode. 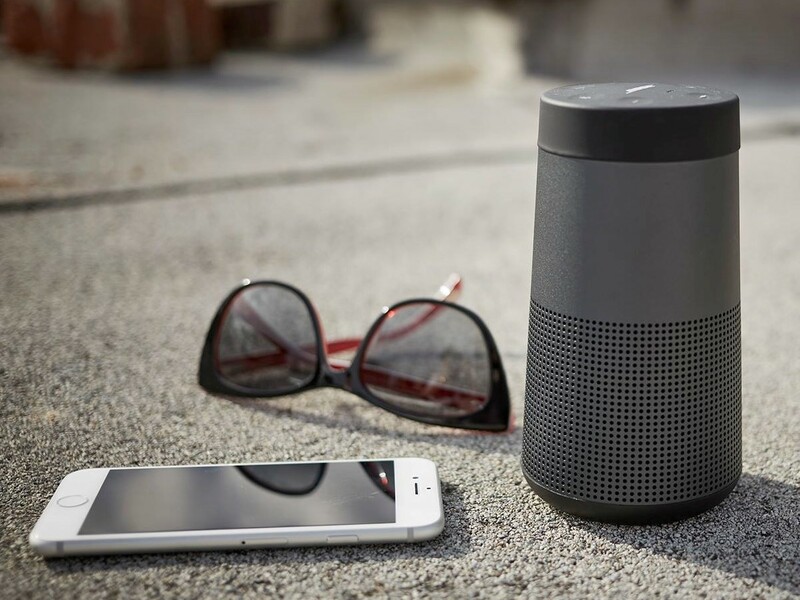 The Bose SoundLink Revolve offers rich sound and a chic design. At ₹19,990, you do pay a premium for portability and the Bose brand, but it’s not misplaced. Even an audio-cheapskate like me is saying that, so you know.